Crescent Sands of Windy Hill is a nice size North Myrtle Beach resort that is situated right on the oceanfront. It is located in the Windy Hill section of North Myrtle Beach, South Carolina and almost right across Highway 17 from Barefoot Landing, a popular destination for shopping, dining and live entertainment on the Intracoastal Waterway. This North Myrtle Beach resort features two accesses to the white sandy beaches, a palm tree landscape and an oceanfront swimming pool. The sun always seems to shine down on Crescent Sands of Windy Hill. It only takes a minute to go from your North Myrtle Beach vacation at Crescent Sands of Windy Hill down the elevator and over the path to the beach before you can be swimming in the Atlantic Ocean. Jumping the waves as they come ashore and wading out to the sand bar at low tide are all part of the oceanfront fun when you vacation at Crescent Sands of Windy Hill. The beaches in North Myrtle Beach, South Carolina are full of beautiful seashells so carry a sand bucket with you to pick up the prettiest ones in the bunch and take them home as North Myrtle Beach vacation souvenirs. Go for long walks on the beach to get a little exercise while you enjoy a little sun and your oceanfront surroundings. Take a surfing lesson or find a quiet spot on the beach to go surf fishing. The Atlantic Ocean and the white sandy beaches are overflowing with recreational options. It is just up to you and your family how to spend time on the gorgeous beachfront when you vacation at Crescent Sands of Windy Hill. The North Myrtle Beach vacation rentals at Crescent Sands of Windy Hill are most accommodating. These North Myrtle Beach condominiums have two or three bedrooms and can sleep anywhere from four to eight people. Each of these North Myrtle Beach condo rentals has high-speed Internet access, a well equipped kitchen with a dishwasher and at least one television and DVD player. 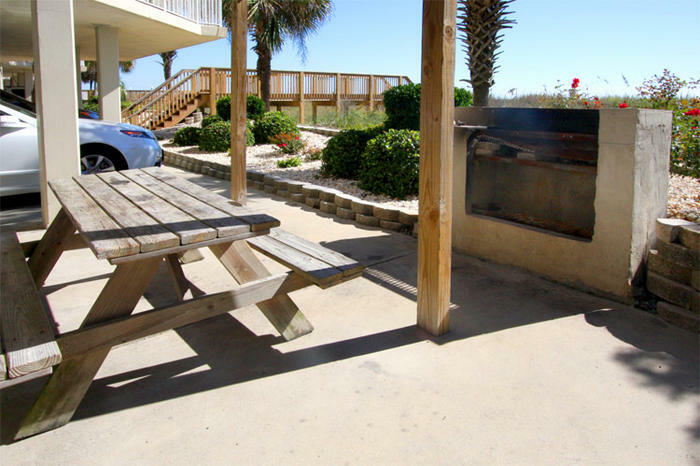 They are beautifully furnished so your family can have the time of your life during your North Myrtle Beach vacation at Crescent Sands of Windy Hill. Sunlight comes into your North Myrtle Beach rental through the sliding glass doors in the living room and the master bedroom. There are walls of windows that reach from the floor to the ceiling so that you can see the Atlantic Ocean from many vantage points in each of these condominiums in North Myrtle Beach, South Carolina.